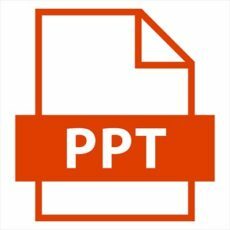 Microsoft PowerPoint is a well-known solution – well-known enough that the product has become synonymous with the task, regardless of what program one happens to use. Of course, this doesn’t mean one necessarily must use it to create a presentation to go with a sales pitch. For this week’s tip, we’ll suggest a few other tasks you could complete with the help of a PowerPoint presentation. One of the nicest parts of Microsoft Powerpoint is how it can almost serve as a very rudimentary vector graphic design software, especially if you’re just trying to add some visual context to a concept – like, for example, in an infographic. Using a single .pptx file, you could create all the infographics your company needs, printing them out or saving them as PDFs as the occasion demands. A problem with a lot of the training an employee needs to undergo as a part of their employment is that it can be fairly dull, much of it comprised of note after note cycled past them on a screen. That’s hardly an effective way to go about building a habit. However, with a properly prepared PowerPoint, you can turn your training lecture into an interactive question and answer quiz, with engaging visuals to help hold your staff’s attention. This is an easy cheat you see high schools use all the time for their daily announcements: you can use PowerPoint to create a news banner that scrolls repeatedly throughout the day. Whether you want to make sure everyone remembers the meeting on Tuesday, or you have clients who should know about your upcoming promotion, it is simple to set up your announcement reel and just have them playing on a monitor throughout the day. Think of it as a budget-friendly form of digital signage. Whether Microsoft PowerPoint is your go-to solution for these needs, or you prefer to use more “official” solutions, Bmore Technology can help you get your hands on the software tools to get the job done. Reach out to us at 866-900-4120 to learn more.